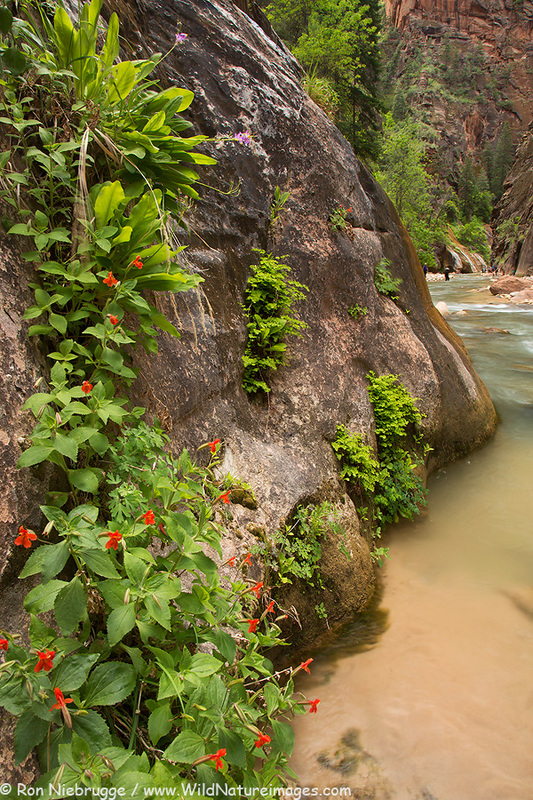 Wildflowers, Zion National Park, Utah. 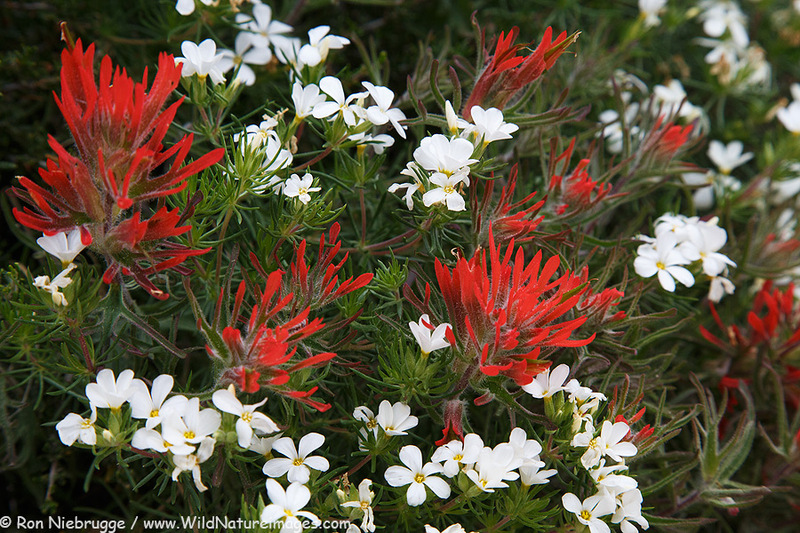 Thought I would share one last Zion image – this morning we head up the Dalton Highway to the North Slope. I hope to post if I get internet, but it might be hard to come by up there. 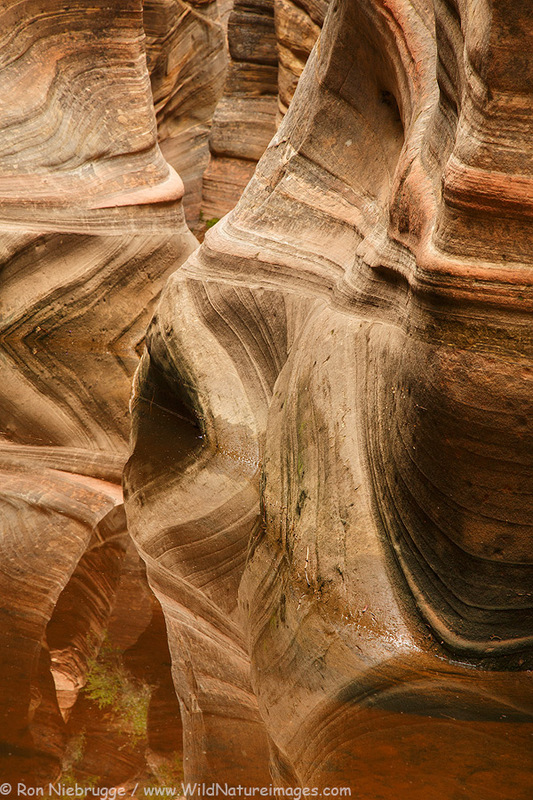 Echo Canyon, Zion National Park, Utah. Reflections in Zion’s Echo Canyon – this is a bit visually confusing as it hard to differentiate what portion of the image is canyon and what reflection on the standing water. 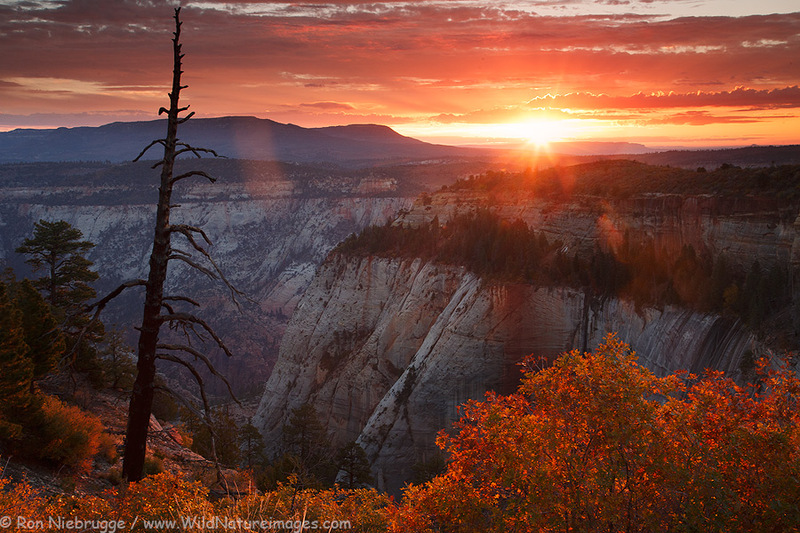 Sunset, Zion National Park, Utah. This is looking down into Zion and the Temple of Sinawava. If you look close, you can see a bus parked down there, and a trail leading into the Zion Narrows. 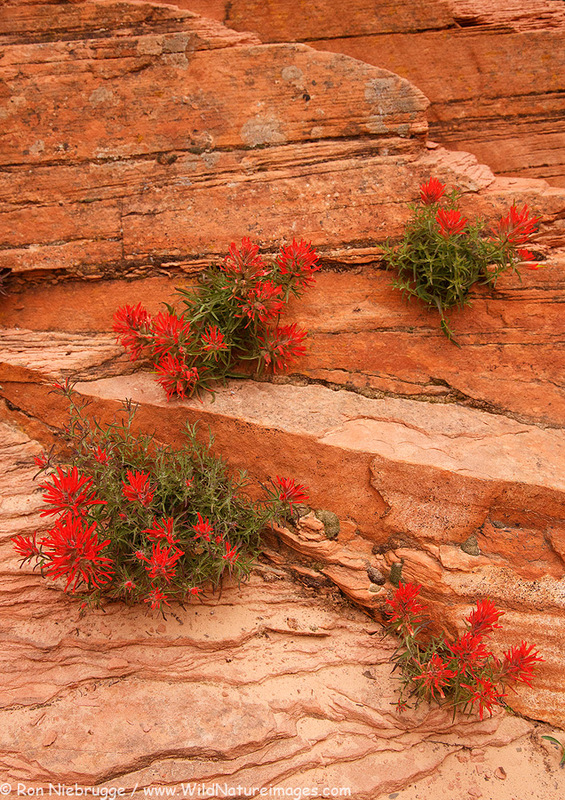 Indian Paintbrush, Zion National Park, Utah. We are home from a fun, but interesting trip. Fun as we saw lots of beautiful country and did a couple of wonderful backpacking trips. Interesting as in the weather. Our past trips during that time of year to the same areas often featured highs in the 90’s. I teased my buddy Patrick a bit for bringing a down jacket, but in the end, I regretted not having mine. This year we had more rain, cold weather and even snow then we would have back home of the Alaska Coast! Pretty crazy, but it did lead to some unique photo opps! Observation Point, Zion National Park, Utah. 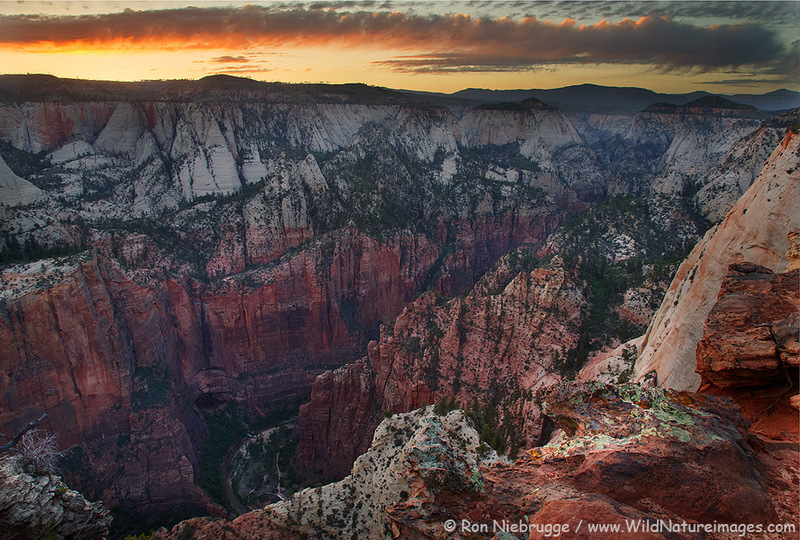 Back from a killer backpacking trip on the East Rim that began with a hike to the top of Observation Point seen here. I knew the view from Observation Point would be amazing since you look down on Angel’s Landing – but had know idea how beautiful the trail would be – it is an awesome trail! Here are more photos from Zion from earlier trips. Yesterday in the Narrows. Hard to visit Zion without taking a hike up this beautiful canyon. 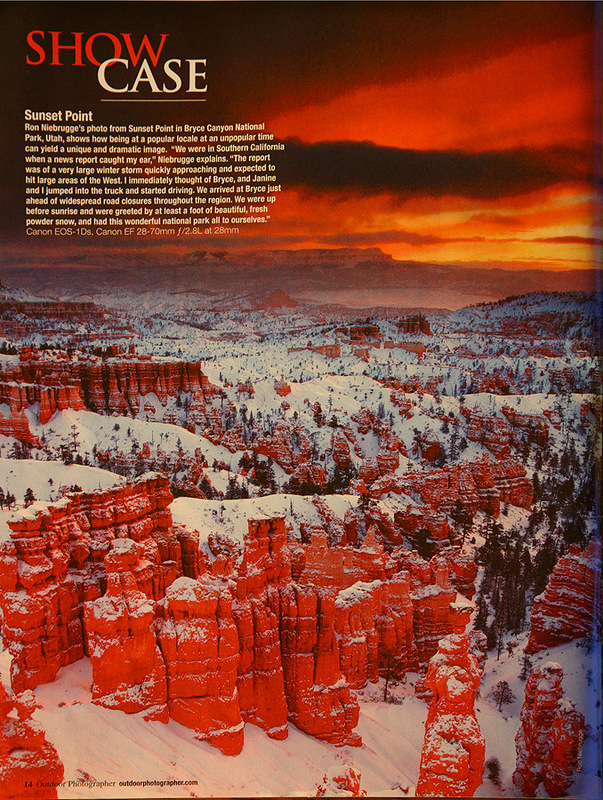 Showcase image of Bryce National Park in the current issue of Outdoor Photographer. I have subscribed to Outdoor Photographer many, many years – since my days as a beginning amateur. Back then I would devour every issue as I was so hungry to read and learn anything and everything about outdoor photography. I still subscribe today, now mainly to keep up with trends and friends – I am friends in one way or another with the authors of every major article in one recent issue. So given this history, I must say I was very excited when they contacted us before my recent Antarctica trip looking for a high-res comp of an image for cover consideration. That would be cool! Days before leaving, they told us they would definitely use the image, if not for the cover as a Showcase image. I had my fingers crossed! As you can see, it wasn’t selected for the cover, but it is still a nice honor to have been published in the Showcase section – so close! 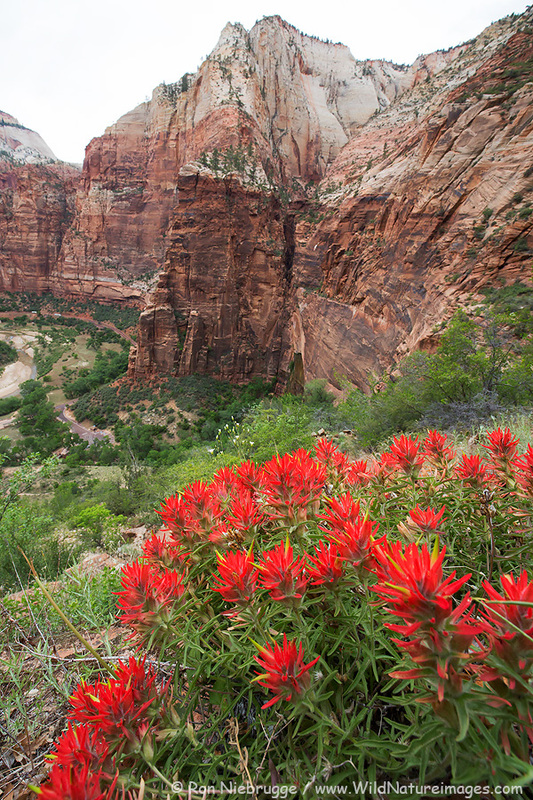 View from the West Rim Trail, Zion National Park, Utah. Sunrise from near our wonderful campsite along the West Rim Trail. This was way up there at around 6,800 feet – you hike down into the canyon you see here to reach the upper portion of the Angel’s Landing Trail.